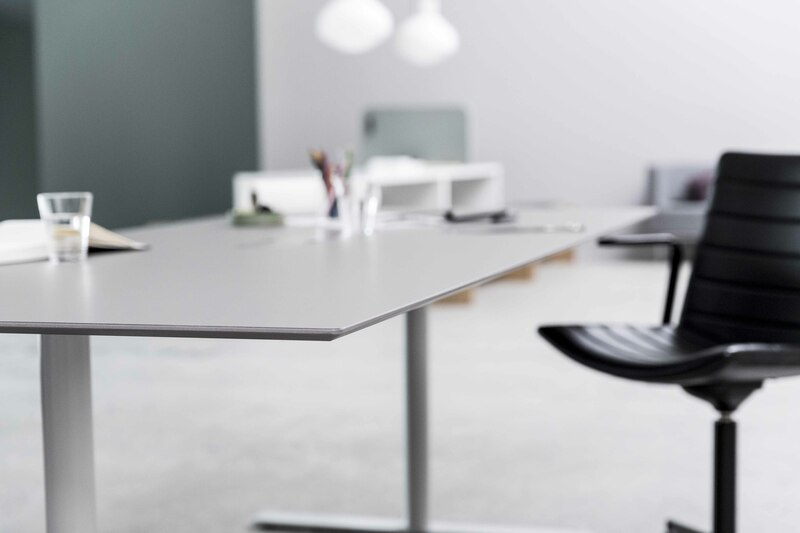 S60 Work Desk is a series designed, developed and constructed from the philosophy that Less is More. 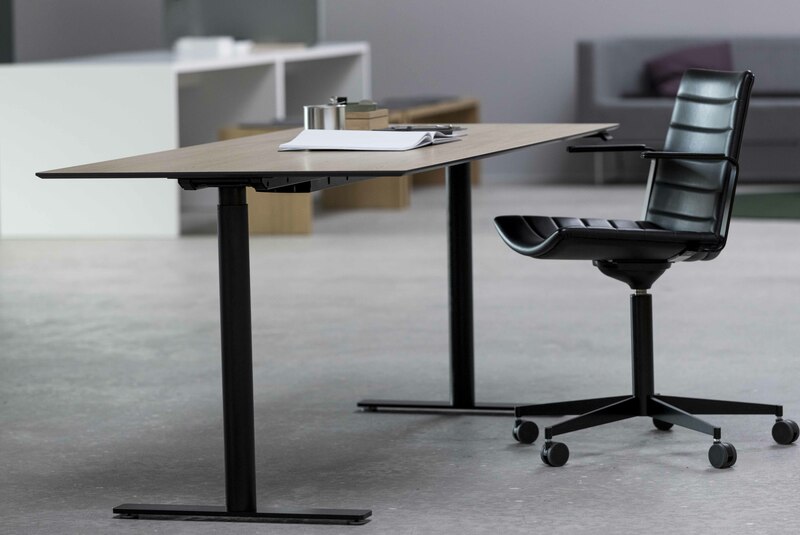 The concept was made by Danish designer Mads Odgård, who suggested a slimline design with simple and intuitive features. 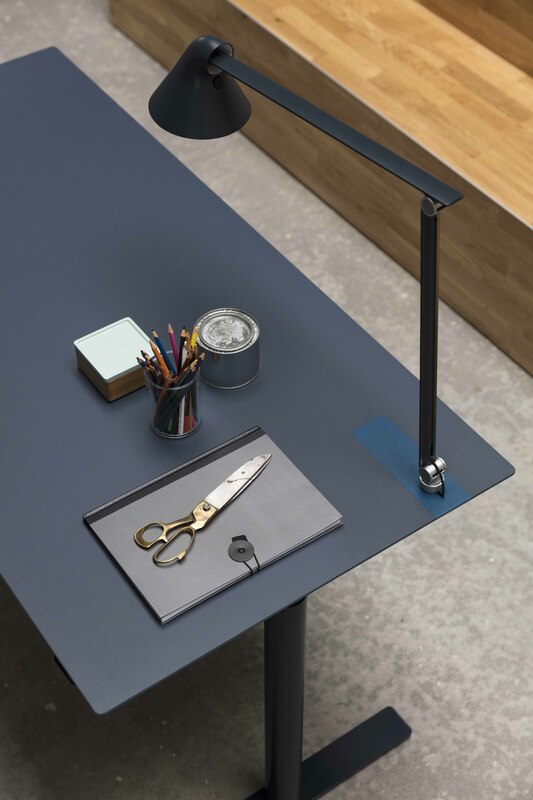 B8 – Work Smarter bought the concept and has spent a year developing and constructing the final design for S60. 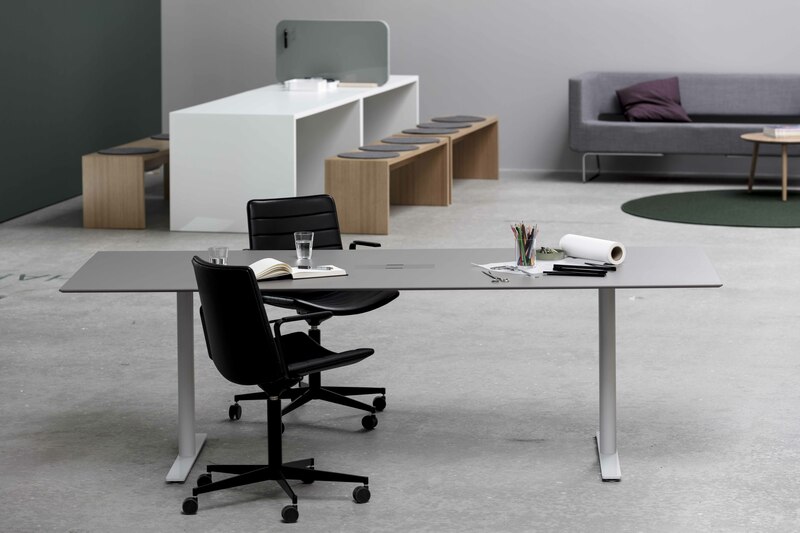 The result is a series of work desks that underlines the relation of form and function. 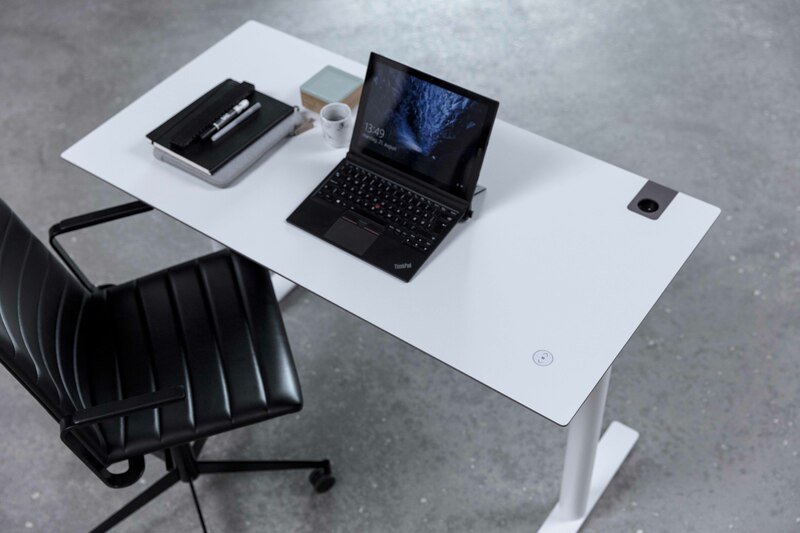 The slimline concept was a major priority and has made the S60 work desk more than 20kg lighter than comparable desks. 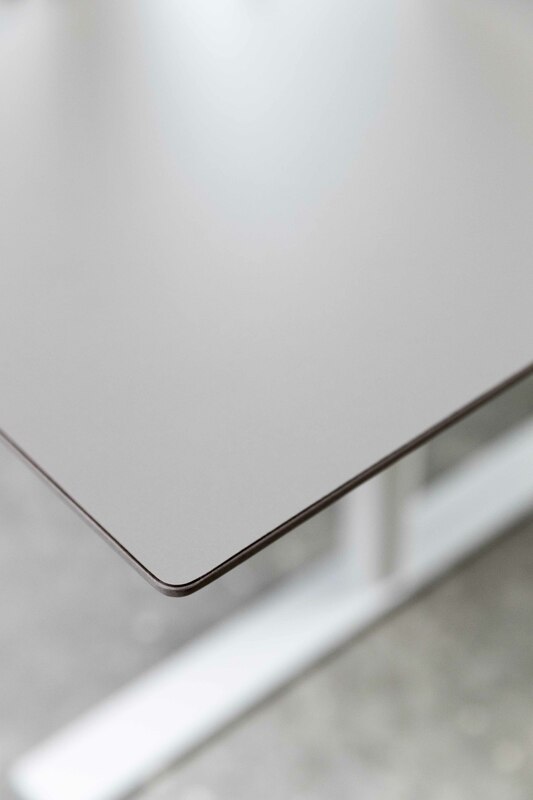 Thickness of the tabletop has almost been halved due to the new material Valchromat, which is 30% stronger than MDF, FSC certified and recyclable. 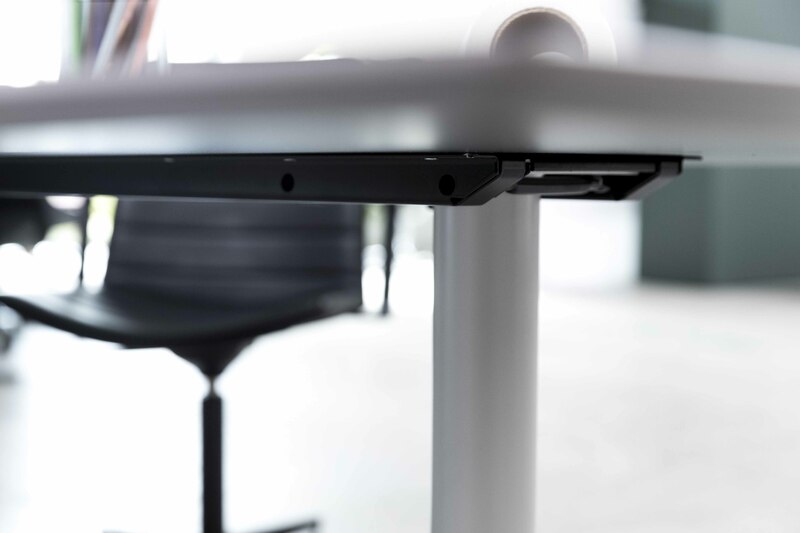 Also, the frame is much thinner and height-adjustment is driven by built-in inline actuators from Linak. 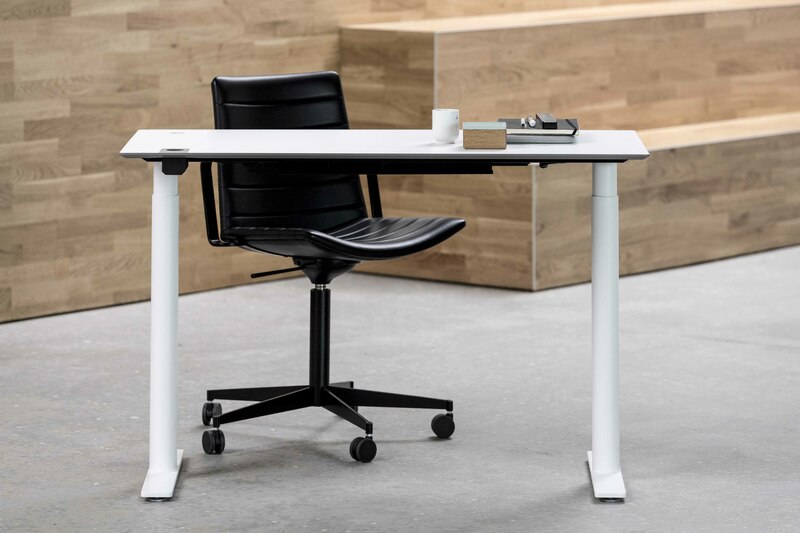 On S60 the cabling is integrated in the tabletop, leaving no power outlets or cables under the table or stowed away in cable trays. 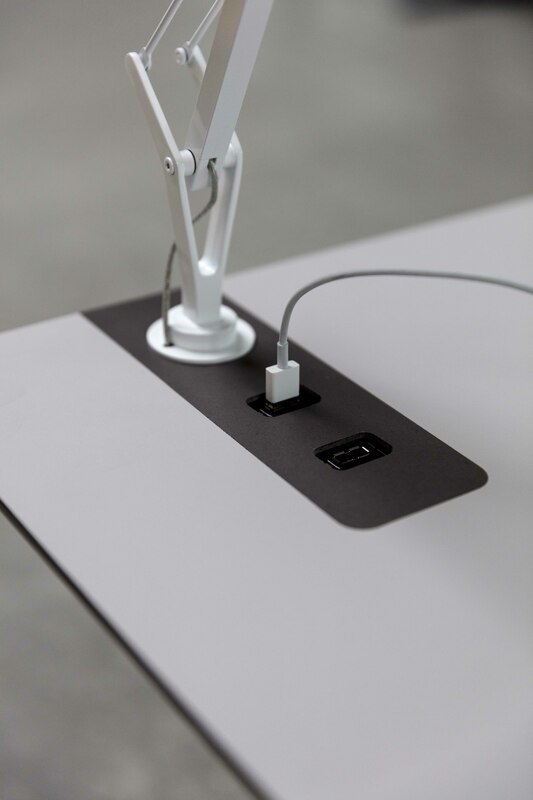 Instead the power outlets are put directly into the tabletop in the intuitive Design Tags, which can easily be used or even changed if needed. 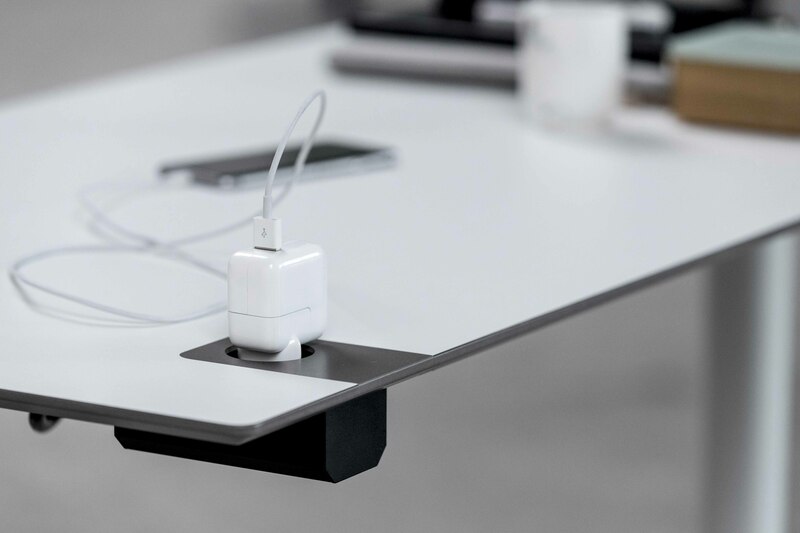 The integrated cabling only leaves the power to be plugged in and the table is ready to use. 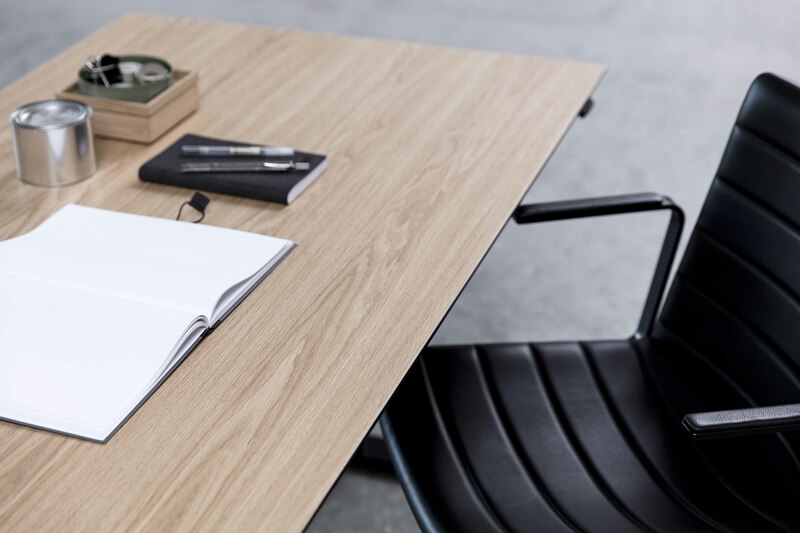 Besides the slimline design and intuitive features, S60 has also gotten a design boost for the creatives. 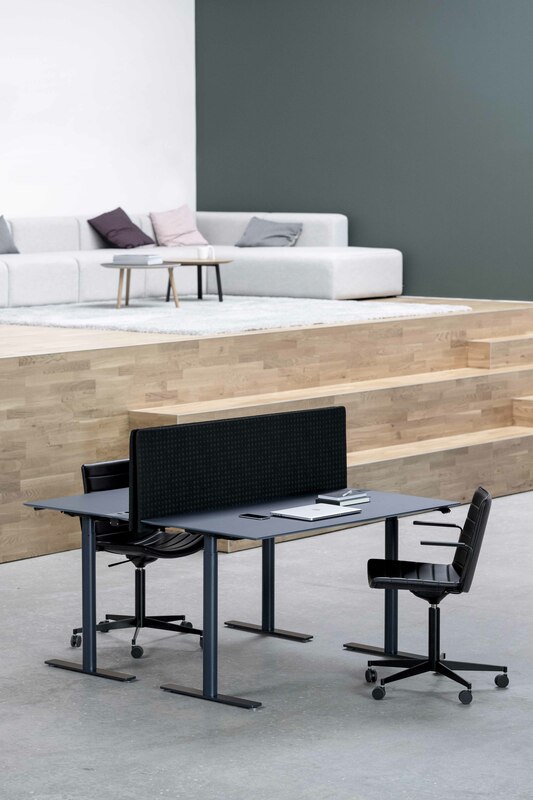 The tabletop material, Valchromat, and surface is available in 117 combinations and makes it possible to design your own unique style for the office. 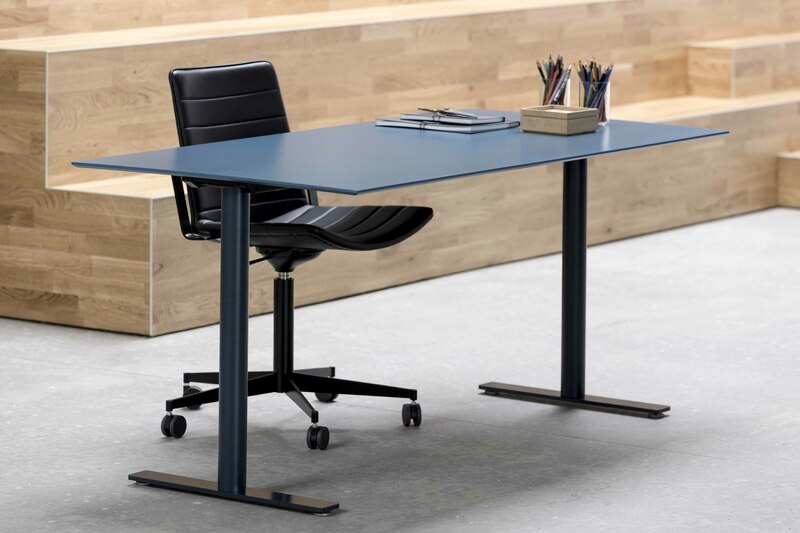 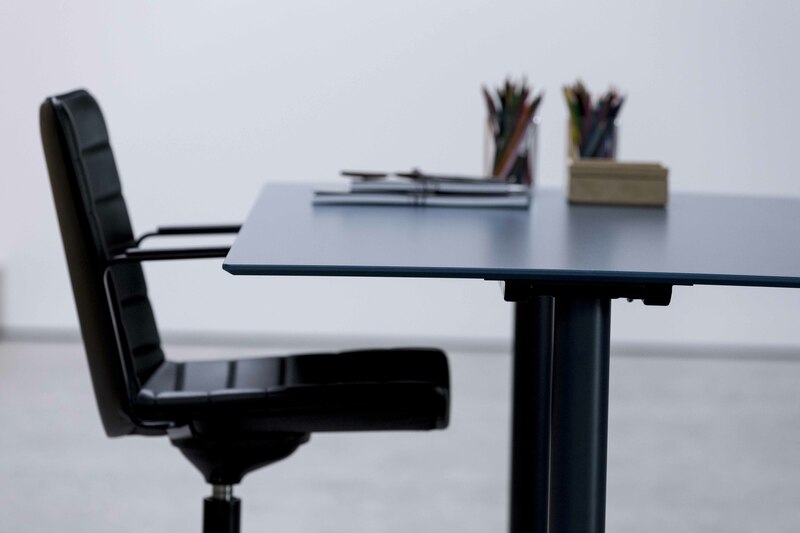 Extending from this new series of work desks, B8 has also developed series of meeting tables and storage units in the same materials and style. 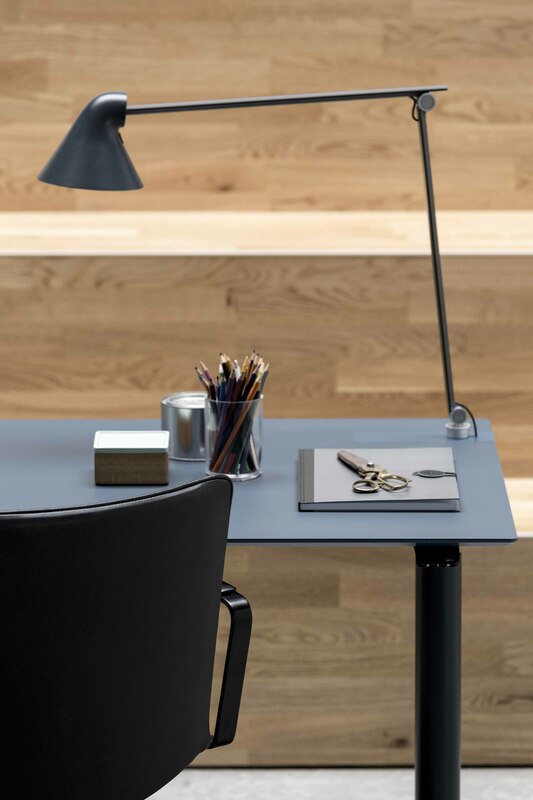 The recurring material of the entire series is the wood product Valchromat, which has a raw urban look and is available in multiple assorted colors.